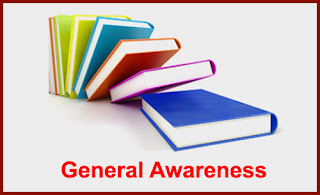 Preparation tips to Crack General Knowledge for SSC Stenographer 2017 Exam: General Knowledge is a common subject which is most of the time appears in the staff selection commission examination and in other competitive examination. Those applicants going to appear in this session, they must read the below mentioned Tips and Tricks to Prepare General Knowledge for SSC Stenographer. Candidates must have to engage with this subject because it is the easiest subject which helps to candidates in getting better marks on behalf of General Knowledge and General Awareness. Through the General Knowledge examination, the authority of SSC will judge the knowledge of candidates in the general awareness so we advised to candidates that you must start the preparation of General Knowledge for getting better marks as well as satisfactory rank. For the ease of candidates, we provide you General Knowledge Syllabus for SSC Stenographer 2017; you must read about it, before going to appear in the examination. Every candidate has own style of study, some candidates prefer to study in the night and a huge number of candidates in favor of study in a day. So first of all, candidates have to find the interest before the study. Applicants have to check the best tips to prepare SSC Stenographer 2017 General Knowledge Syllabus through this you can easily find the what the current activities are happening around the world. Find Importance of Newspaper: A paper of news and news channel is a better source of general knowledge because of it aware to all about what the activities are happening. So candidates have to read the newspaper and watch news channel in free time, it surely supports to candidates who are going to sit in the examination. Knowledge of Syllabus: Those are going to appear in examination they must have a collection of a prescribed syllabus, through it you will consume time in examination time. Hard Work and Practice: You should do more hard work and practice of important topics because a practice will support you to achieve your set goal. Time Management: The skills of time management will increase the effectiveness, efficiency or productivity. So you have to make a proper time table before going to appear in the examination. Previous Year Papers: Previous year paper shows the pattern of the examination so applicants must collect the old year paper before appearing in the examination. 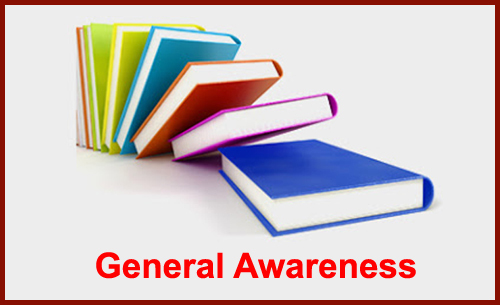 If you are finding the best Tips to Prepare General Awareness for SSC Stenographer 2017 they must have knowledge of the Polity, Economics, History, Geography, General Science, Daily Current Affairs 2017. For the better future of candidates, we provide some important topic which has circumstances to appear in the examination. Let us a glance at tips to learn GK efficiently. In this article, we try to provide the best details of the syllabus. The provided information will support to candidates getting good marks in a stenographer examination. Aspirants required to read Tricks and Tips to Prepare General Knowledge for SSC Stenographer 2017 before appearing in a staff selection commission examination. If you have any question regarding How to Prepare GK for SSC Stenographer 2017 then you must comment here, we will respond you soon as soon possible.